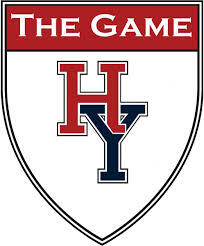 Please come join the fun, as we cheer on Harvard in its epic battle against Yale! The Harvard and Yale clubs will be hosting this year's event once again at Tobacco Road on the American Tobacco Campus. Please come join the fun, as we cheer on Harvard in its epic battle against Yale! The Harvard and Yale clubs will be hosting this year's event once again at Tobacco Road on the American Tobacco Campus. The indoor private dining room has been reserved with overflow into the main dining area. All those interested in attending are welcome to arrive at noon. Kickoff is at 12:30 pm. Friends and family are welcome, as long as they're cheering for the right side.